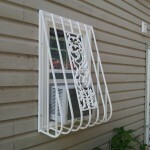 windows-bars.com is proud to be the sole manufacturer and inventor of our best selling, Window Gate. The windows-bars is the most diverse Window Gate we offer and is easily adaptable to any consumer, commercial and governmental security/safety/prevention application. 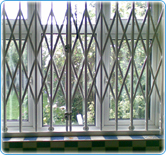 While the windows-bars can be implemented independently, when used in combination with a fire escape based window exit, burglaries are significantly reduced along with the probability of being trapped in a fire by the older, more commonly used, keyed padlock style window gates. Our windows-bars uses a key-less, quick pull release and locking mechanism to allow a safe effortless escape from the inside, during an emergency. 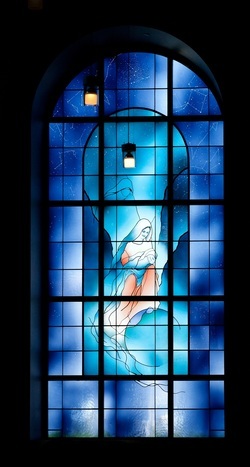 The true beauty of the windows-bars lies in its ability to be easily operated by kids, seniors, the disabled and adults alike. The strategically placed pulley mechanism can be effortlessly pulled down, thereby releasing the locking pins and allowing a quick exit through the fully opening bi-fold doors. The pulley itself is covered and configured so that it cannot be operated from the outside, thus preventing any unwanted outside entry, while granting a smooth key-less escape. 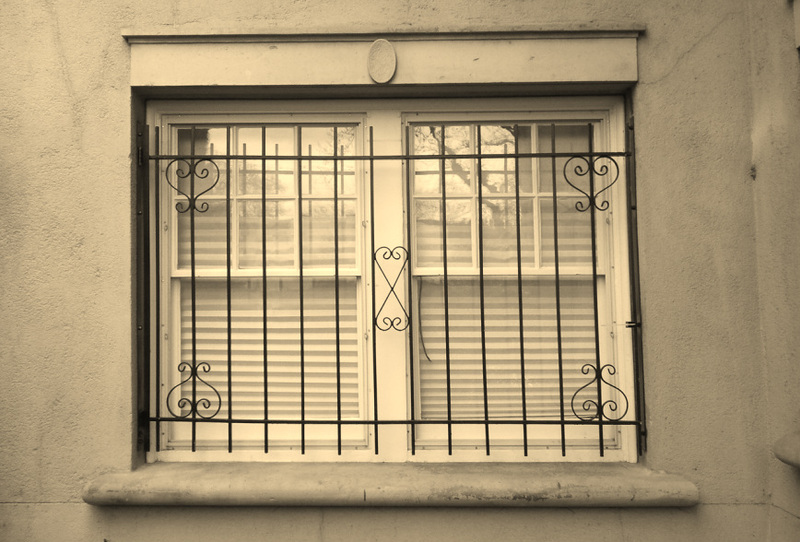 he windows-bars is the unification of function, form and style; it retains the security standards of old-style window gates, while incorporating FDNY approval and safety protocols into an economically viable unit. windows-bars were designed to not only keep your home/business/office secure from break in, but also to keep the occupants safe from external and internal threats alike. Fairly priced and available in any color, custom size or orientation, the windows-bars s the modern solution to a sometimes unsafe and unrelenting world. Available for all your gates and Locksmith needs: we specialize in sales service and installations. When contacting us you will have a quick response to all your lock needs in Coney island NY! According to the Consumer Product Safety Commission, about 12 children 10 years old and younger die each year, and more than 4,000 are treated in hospital emergency rooms for window fall-related injuries. that's why you need to make this your first priority and security in getting window guard for your home and your kids security. Remember that you should not depend on a screen to keep your kids from falling out of a window. That's what makes installing a window gate or guard important. Remember that they should be strong Enough to prevent a fall, but also meet the latest Standards so that they can be easily opened in case of a fire. A window guard can be a good idea even if you are on the first floor, so that your child can't get out of the house through a low and open window. 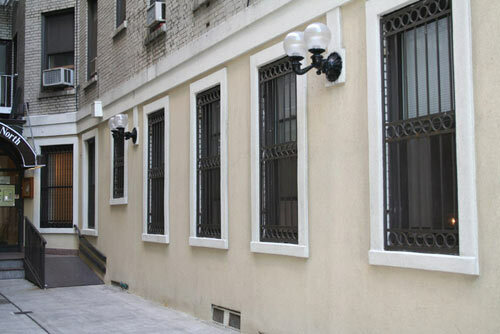 Window Guards or Window Gates are common in all the boros of New York City. They provide security, and escape during fire depending on what your needs are. The most common point of entry for burglars are thru the windows which are sometimes left open or simply broken, some windows are positioned away from street traffic and between houses making them perfect targets for people who want to gain access to your business or home unannounced. 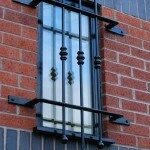 Window guards are great for protecting your investment and property. Before a burglar starts making noise to try and cut through these solid steel guards, he will think twice and move on to the next home that has no protection. 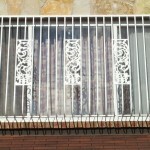 Window guards can be made of steel, stainless steel and aluminum, with many styles and decorations available to compliment your home or commercial work space, also we can incorporate a protective cage for your air conditioner, make them curved so you can put some plants on them and incorporate a gate for emergency exit in case of fire. For a free estimate call or email us now below! 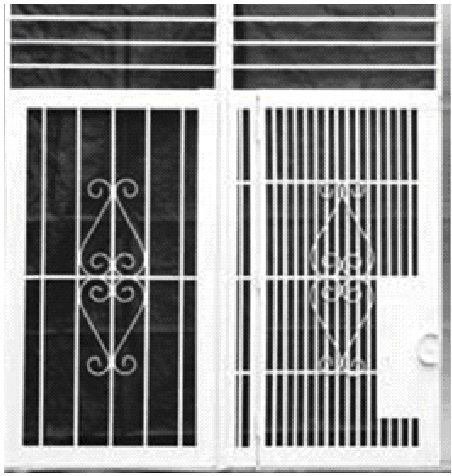 Window gates become a popular security feature for homes and businesses. It improves home and business security and safety. 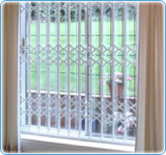 Window gates protect against unwanted home invasion by preventing forced entry into the house via windows and doors. As part of extensive security and safety services, NYC Locksmith offers window gates with a wide variety of eye-catching designs to be custom fitted and installed as part of your residence or business overall security plan. Repair and Replacement of all said installation.